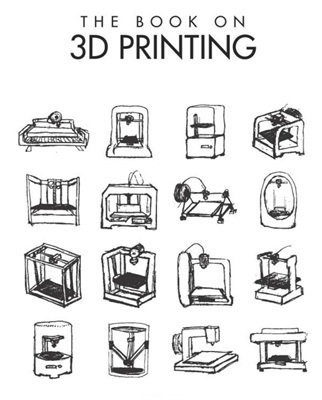 The Book on 3D Printing is an easy read and a good introduction to the topic of 3D printing for anyone interested to learn more about this exciting topic. 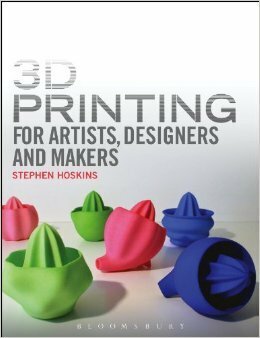 The book promises to demystify the topic of 3D printing by covering a range of topics such as the 3D printing industry, 3D printers, 3D modeling software and more. 3D Printing for Artists, Designers and Makers explores how creative industries are being impacted by 3D printing. Using case studies, the author shows how designers and artist are adopting 3D printing technology and how they integrate it into their creative processes. 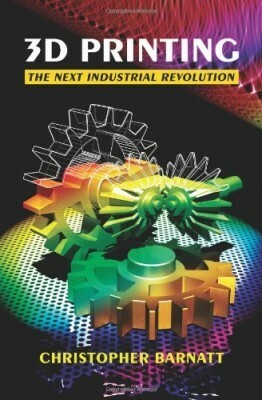 A must read for those in creative industries with an interest in the latest technological developments. 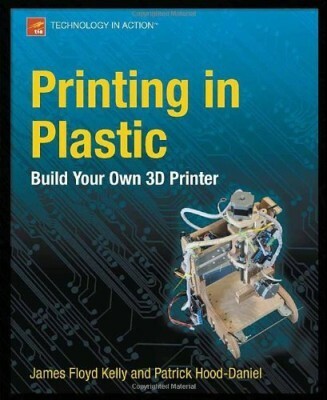 Printing in Plastic: Build Your Own 3D Printer, teaches readers how to build their own personal fabrication machine. Provided you are comfortable using power tools the authors James Kelly and Patrick Hood-Daniel will walk you through the process of building your very own 3D printer. The required blueprints can be downloaded from the accompanying website. In 3D Printing: The Next Industrial Revolution Christopher Barnatt, a professional futurist, explores how the onset of 3D printing that we are witnessing today will transform our lives in the future. Barnatt calls the manifestations of 3D printing that we are seeing today as 'just the beginning'. In his book, the author explores what technological advances we can expect in the future including the printing of human organs or the complete transformation of the retail industry. 3D Printing: The Next Industrial Revolution does not only cover current 3D printing technologies but also comes with an extensive resources section containing information on 3D printer manufacturers, 3D software providers and 3D printing services. Also noteworthy is the extensive glossary that helps guide the layman through all the technical jargon. Getting into 3D printing is easy especially when downloading and printing designs from free 3D model repositories such as Thingiverse. In his book 'Design and Modeling for 3D Printing' author Matthew Griffin teaches you how to take the next step by starting to create your own 3D designs. 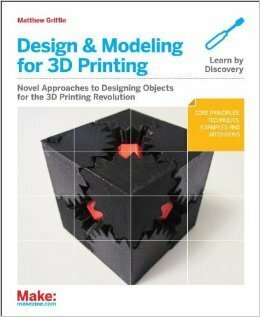 Using practical examples, Griffin explains the core principles, techniques and limits of 3D modeling software arming the reader with the know-how required to design and print almost anything. 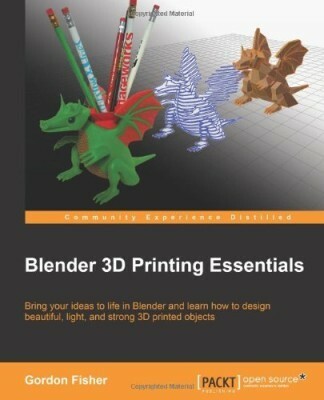 The book Blender 3D Printing Essentials is written for Blender users who want to create 3D models suitable for printing. Author Gordon Fisher shows you how to use Blender's special 3D printing tools to maximize print quality while reducing cost just as well as he explains the structural integrity and stability requirements for models that are to be 3D printed. Though you don't need to be a Blender experts, it is recommended that you are comfortable with the basic modeling functionality of the Blender software. The book adopts very much a hands-on approach with the use of step-by-step instructions and plenty of screenshots to help guide readers every step of the way to designing high quality 3D models. 3D Printing Blueprints teaches you the tools and techniques of using Blender, a free 3D modelling program, to build 3D models for printing with simple and fun hands-on projects. 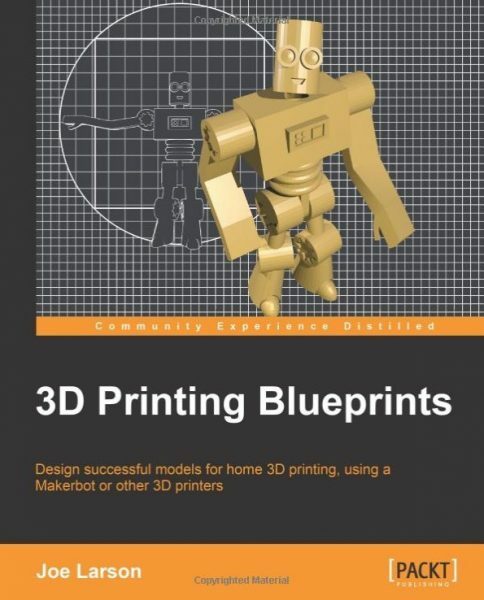 The book uses engaging examples that teach Blender modeling for 3D printing through step-by-step lessons. 3D Printing Blueprints starts by explaining you basic modeling principles and how to make simple objects. The following projects all teach you new tools and techniques while making sure that you understand the design principles that need to be respected for 3D printing. The author then shows you how to build objects to repair or replace everyday objects. Finally you’ll be able to even tackle other people’s models and fix them to be 3D printable. 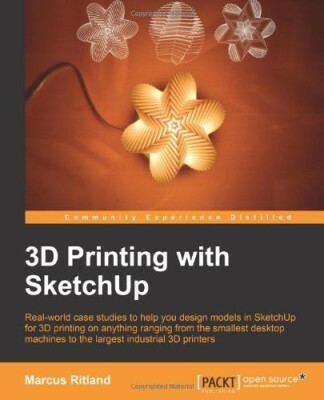 3D Printing with SketchUp aims at helping designers and architects draft models in SketchUp for 3D printing. Using real-world case studies, author Marcus Ritland shows you why you may need to design your 3D model differently depending on whether you use a 3D home printer or industrial 3D printing processes. Learn the most important 3D modeling concepts to create your own designs as well as how to adapt existing 3D models making sure that your 3D prints turn out right the first time. 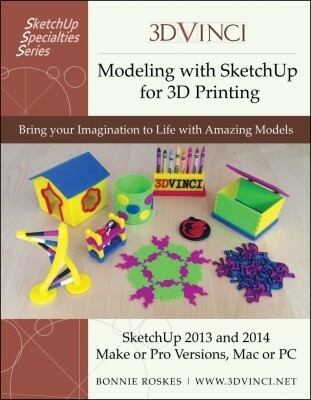 In her book Modeling with SketchUp for 3D Printing, author Bonnie Roskes shows readers how to design and 3D print models using the SketchUp software. The book covers beginner techniques such as downloading and modifying existing models just as well as designing more advanced models. Examples range from simple name plates and puzzles to complex designs such as Lego bunk beds and DNA. 3D Modeling and Printing with Tinkercad is a hands-on guide to the free, web-based 3D modeling software, Tinkercad. The book is packed with photos and practical projects that bring 3D modeling to life. Beginners without any CAD experience need not to worry, the author uses step-by-step examples to guide them through their first modeling steps. 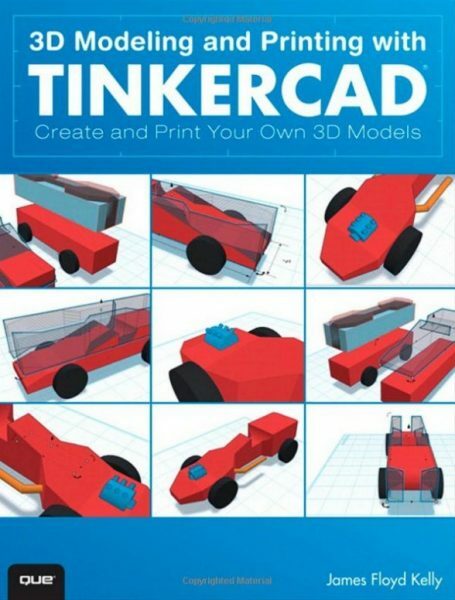 The book teaches all relevant techniques such the reader can leverage Tinkercad's full power to even handle advanced projects such as mold making or multi-piece assemblies.